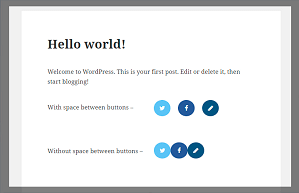 Simple Social Sharing WordPress plugin with custom buttons design and placement. Choose any social network (Facebook, Twitter, etc. ), social buttons design and share bare location. Choose share buttons design template, social networks to share, save your project and that’s it. 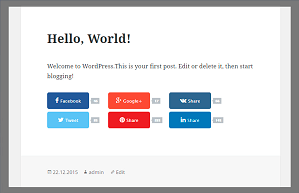 Simple, eye-catching social share buttons plugin for WordPress with counter, great customization and tons of features! Download Social Share Buttons by Supsystic plugin. Then, to create the first Social Share Buttons, click “Add new project” in the left navigation menu, enter the Project's name, choose template, social networks and click “Create” button. Your first Social Share Buttons are ready and you may choose their configuration. How to show Social Buttons in Popup? You can do it using our awesome Popup plugin! At first, you need to install Popup by Supsystic plugin. 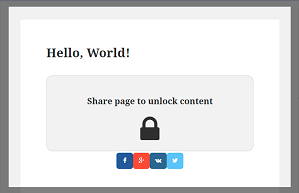 Then come back to the Social Share Buttons plugin and create new project. Go to "Main" tab -> “Where to show” section, find “Popup” radio button and activate it. Customize the other settings. Don't forget to click "Save" button. Popup plugin will automatically create the popup window with buttons. 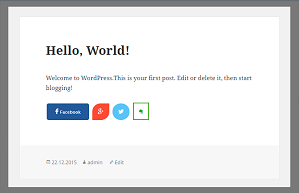 How to use Social Share Buttons Widget? After you create the project - go to Where to show section. Find “Widget” radio button and activate it. Customize the other options. Don't forget to click "Save" button. 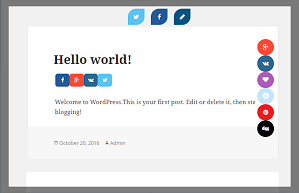 On the left wordpress navigation menu go to Appearance -> Widgets. Here find your social share project and add to widget area. 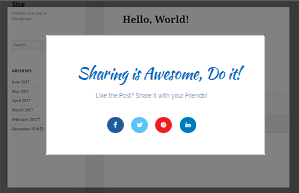 How to add Social Share Buttons using shortcode? You can add social buttons only to specific pages using the shortcode. 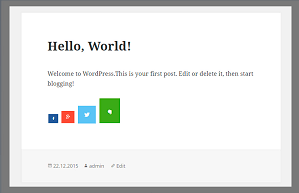 You are to insert the shortcode into your post or page using text editor page. Changing buttons position is also effective method. Read more about possibilities of social buttons shortcodes here. All available languages are provided with Social Share Buttons plugin. If your language isn’t available, your plugin will be in English by default. Available Translations: English, Russian, Italian, Indonesian, Hungarian, Portuguese, Portuguese (Brazil), Dutch, Polish Translate Social Share WordPress plugin in your language and get a Premium license for FREE. Contact us.